John Cena majorly felt the burn after his 2009 marriage and 2012 divorce from Elizabeth Huberdeau, and it’s really influenced how he conducts himself in all his subsequent relationships — just ask his current flame, Nikki Bella. 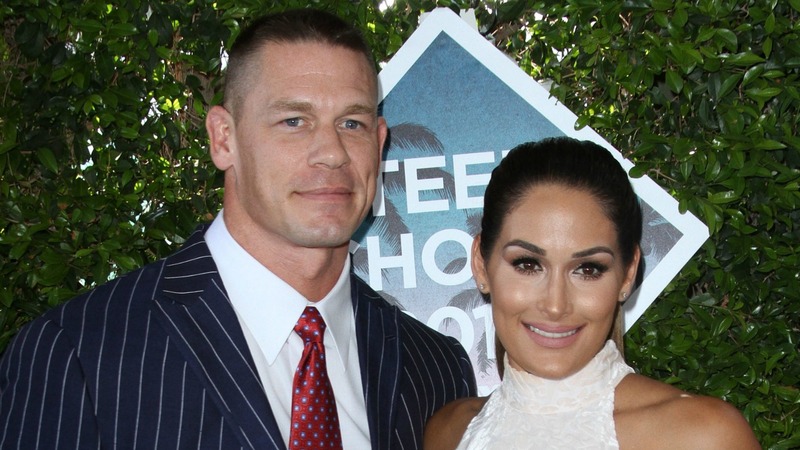 On Wednesday’s episode of Bella’s WWE show Total Bellas, Cena opened up about his support of prenuptial agreements and divulged to the world that he hammered Bella with a ton of paperwork before she could cohabitate with him. “I had to have your sister sign an agreement to live in the house. And that’s — it wasn’t a one-page, it’s a 75-page agreement,” Cena said to Bella’s brothers. The revelation came about after Bella’s mother learned that her boyfriend, John Laurinaitis, was exploring a prenup before they could marry — an idea that Cena was all in on. We can understand Cena wanting to protect himself, but 75 pages is a pretty hefty contract considering Cena and Bella aren’t even married. It also doesn’t bode well for the future of their relationship. If the agreement just to move in with Cena is that long, we’d hate to imagine what a prenup would look like — should he ever decide to tie the knot again. Do you think Cena’s crazy move-in contract means he’s too scared to ever get married again?